Lost to WF West (Chelhalis) 3-1. Ashley Pearson, Fr, honorable mention, Hannah Yamamoto, Jr, 1st team, Katy Heins, So, 2nd team. On Friday, May 7th, the Lady Wolves were handed their second defeat of the season by Nisqually League Champs, North Mason. North Mason handed Sequim their second 3-0 loss allowing only 2 hits on bunts by Ashley Pearson. Jessica Rosencrants went the distance on the mound striking out 6, allowing 4 walks and 6 hits. Sequim had a chance to score with runners on 2nd and 3rd in the 6th inning, but a line drive hit by Hannah Yamamoto was caught by the centerfielder to end the inning and the threat. North Mason survived the league without one run scored against them. Last season, North Mason placed 4th in the State Tournament. Sequim finished the regular season at 15-2, 11-2 in League. They beat the 4A Olympic League Champs North Kitsap early in the season. They travel to Sprinker Rec center in Tacoma to face the Number 10 seed in District play on May 21st at 1 p.m. The top three teams from the District will move on to state the following week. Special Thanks to Coaches Mel Hendrikson and Mark Fischer for a great season. Sequim topped the Cowboys in a doubleheader Monday. Sequim won the opener 4-0. Jessica Rosencrants had 17 strikeouts, pitched a two hitter and gave up two walks. Sequim had one hit, a double by Alanna O’Hara. Taria Hendricksen, Hannah and Katy Heins all had 1 RBI each, walking with the bases loaded. Sequim also won the second game, 11-3. Jessica had 13 strikeouts, 1 walk and gave up 1 hit. Sequim had 9 hits. Kayla Baker went 2-5, Hannah Yamamoto 1-4 with 2 RBIs, Katy Heins was 2-5 with 2 RBIs, Jessica Rosencrants was 2-4 with 1 RBI, Brianna Ceballos 2-4 with 2 RBIs, Alanna OHara was 1-2. Next game is foster at home on Wednesday and then on Friday at North Mason. 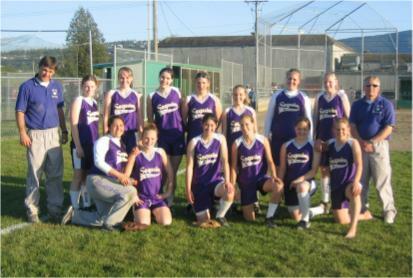 The Sequim Wolves defeated Orting on Friday, April 30th by a score of 8-5. Jessica Rosencrants struck out 11 batters and recorded her 12th win of the season. Hannah Yamamoto went 4-for-4 with a pair of RBIs, Katy Heins was 2-for-4 with an RBI, Rosencrants was 2-for-3, Christine Signes was 3-for-4. Brianna Ceballos and Alanna O’Hara went 2-for-4. Sequim improved to 12-1 on the season and 9-1 in league play. The play a double header on Monday, May 3rd against Chimacum, another double header on Wednesday, May 5th. 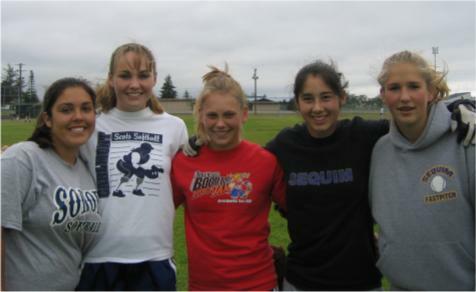 The girls took a double header on Monday, April 26, 2004 beating Klahowya 1-0 in ten innings and 5-1 in the second game. Jessica Rosencrants pitched both complete games. Kim Merrikin laid down a bunt on a suicide squeeze to score Alanna O’Hara in the bottom of the 10th inning in the first game. In the secon game Brianna Ceballos had 3 RBI's and Hannah Yamamoto had 2 RBI's. Jessica rosencrants struck out 20 batters combined in both games.